In May of this year, just before turning 50, I was extremely fortunate to be guest of the Tourism Board of Spain in the Castilla y León. Our goal was to trace some of the steps of Santa Teresa as this is the 500th year since her birth. Se was born in Avila and died in Alba de Tormes where she is buried. 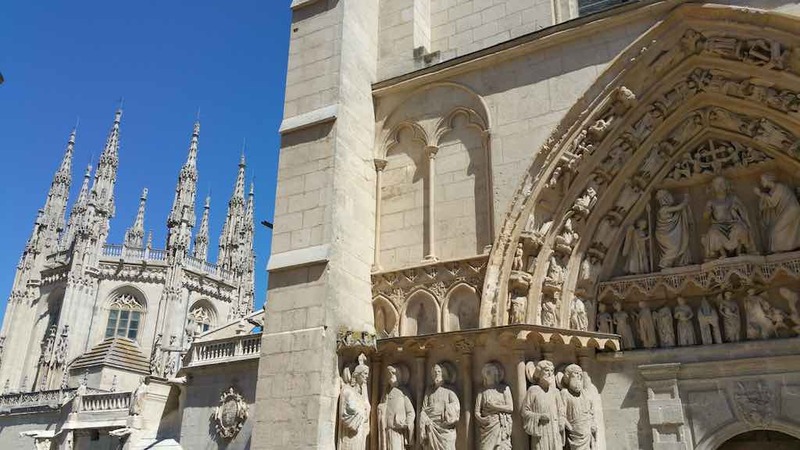 Nine of of the 17 convents that she founded are in the Castilla y León region. 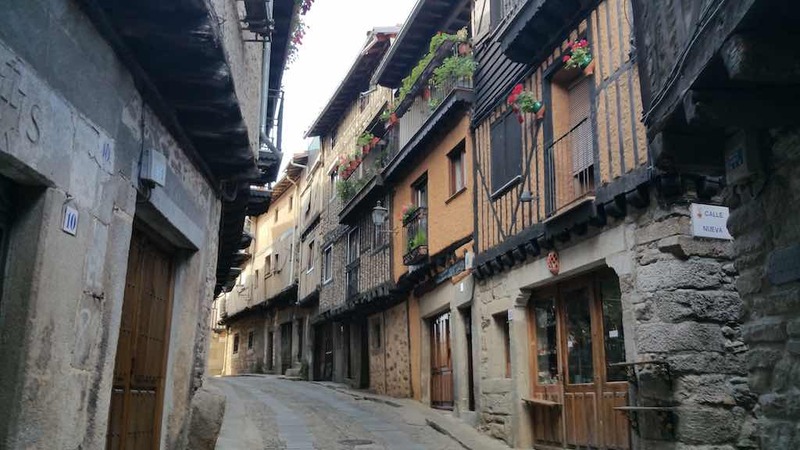 Myself and a few other friends armed with excellent tour guides visited Alba de Tormes, Avila, Burgos, La Alberca, Medina del Campo, Rueda, Salamanca and Valladolid. Even after spending a week in the region, we still did not see it all. The journey was both spiritual and explorational and I enjoyed every second of it. I was able to dine on the region’s food, experience the culture and its people and wined on the many different wines of the region. My favorite place is Burgos maybe it’s because thats where I was when I turned 50 or because of its beauty, not sure which. Salamanca would be a very close second. The region is easily accessible by flying into Madrid (MAD), then taking the train (renfe) or buses, but its best experienced by either renting transportation to drive yourself or be driven, I prefer the latter. 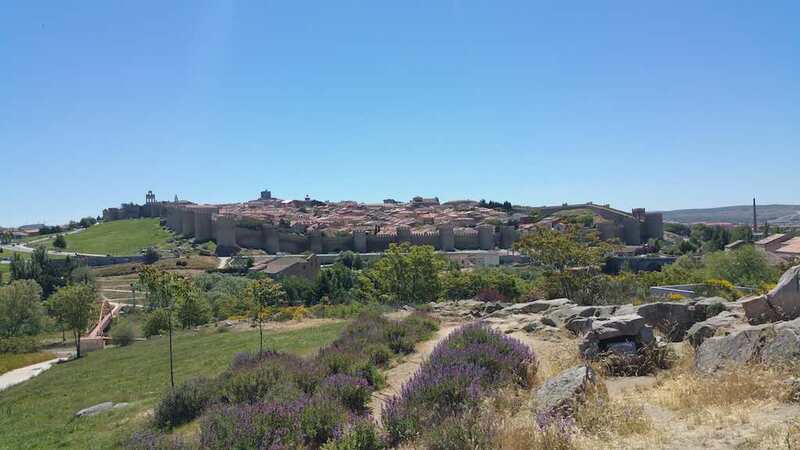 As an example, you could take the train from Madrid to Avila, then again to Salamanca. Here are 21 photos that captivates the region. Castilla y Leon – Alba de Tormes. This is the town where Santa Teresa is buried. Seen from the Hotel Don Fadrique which is nearby. We had lunch at the restaurant that is run by the hotel. 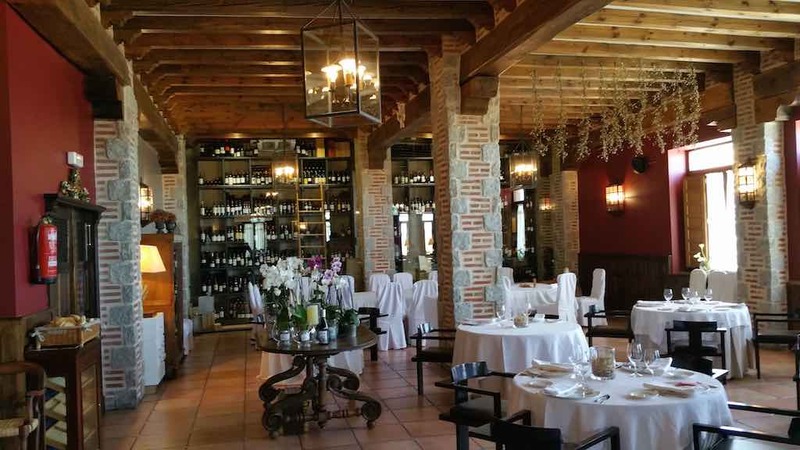 Castilla y Leon Alba de Tormes – Hotel Don Fadrique Restaurant. Castilla y Leon Alba de Tormes 20th Exposition Las Edades del Hombre. 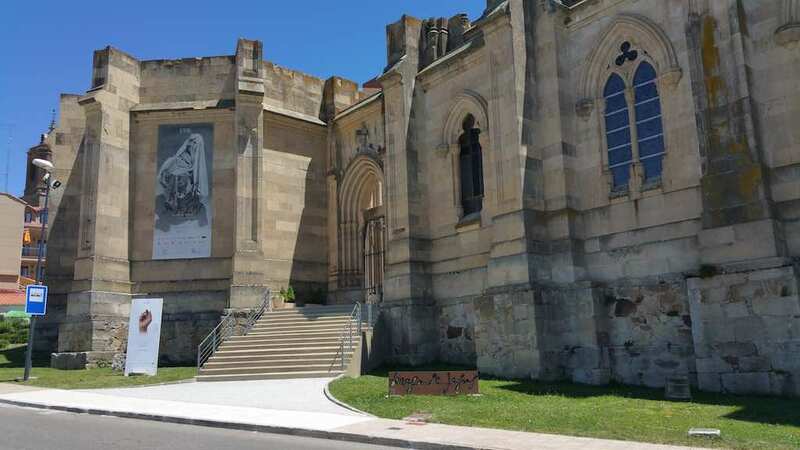 This exhibition depicts the life of Santa Teresa. 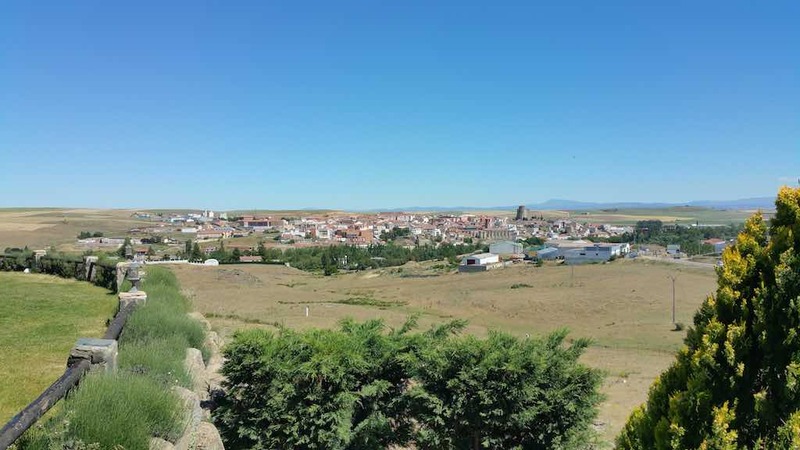 Castilla y Leon – The town of Avila. Castilla y Leon Burgos – Burgos Cathedral. 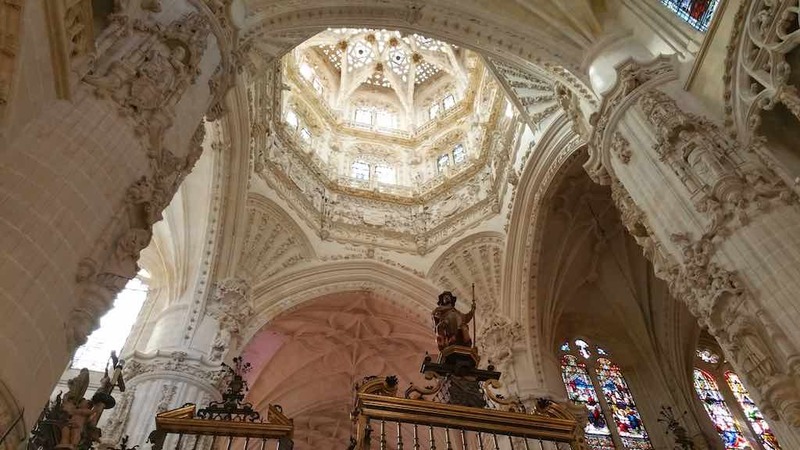 Castilla y Leon Burgos – Inside the Burgos Cathedral. Castilla y Leon – La Alberca Three Generations. 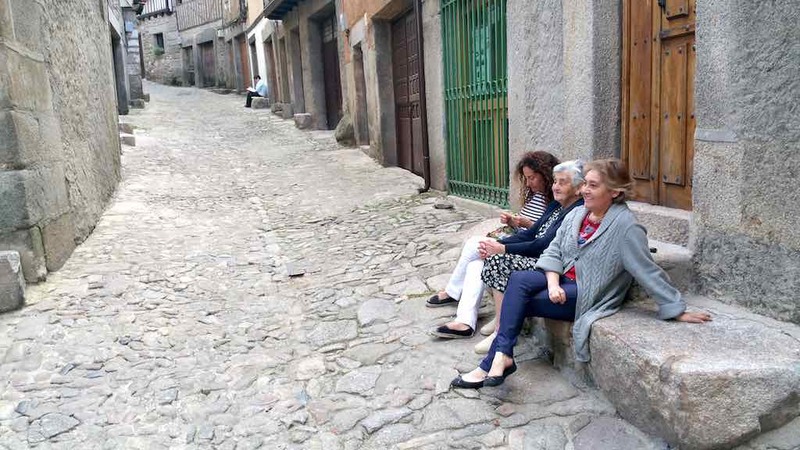 Here you see three generation of women enjoying an afternoon exchanging stories. 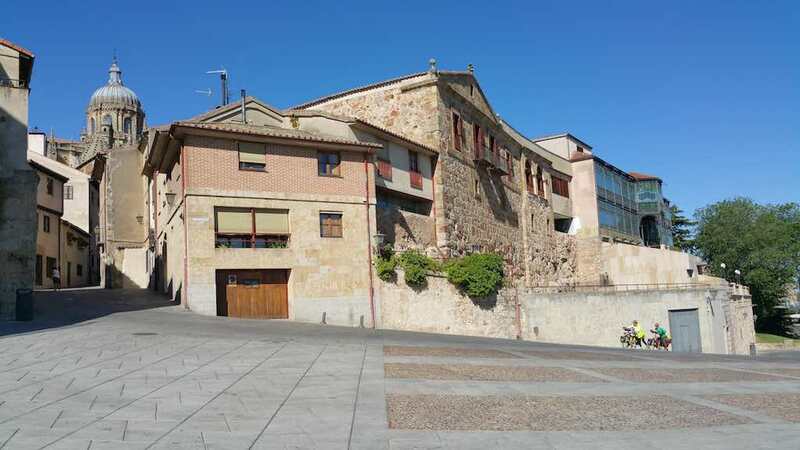 Castilla y Leon – La Alberca Traditional Homes. Here you see the traditional homes of the region. The larger door was used as a stable and the smaller door was the entrance to the house. That door was actually in two parts, with the lower part always remaining shut. 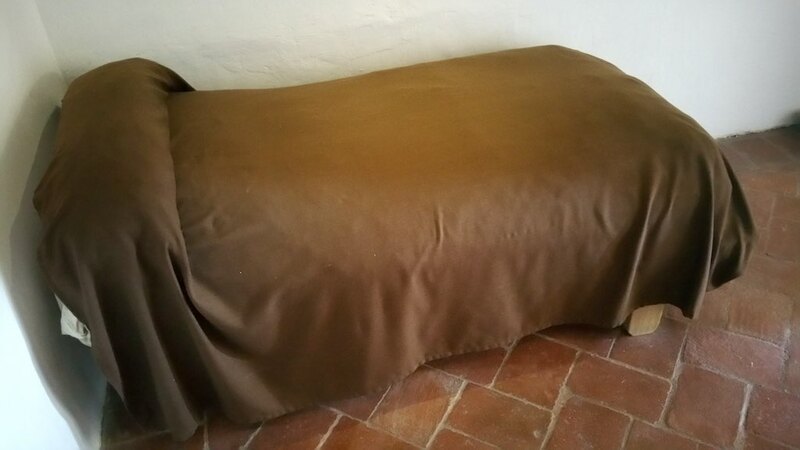 The heat from the animals actually served to warm the bedroom which was placed above the stables. Today the large “barn” is now a garage/holding area. 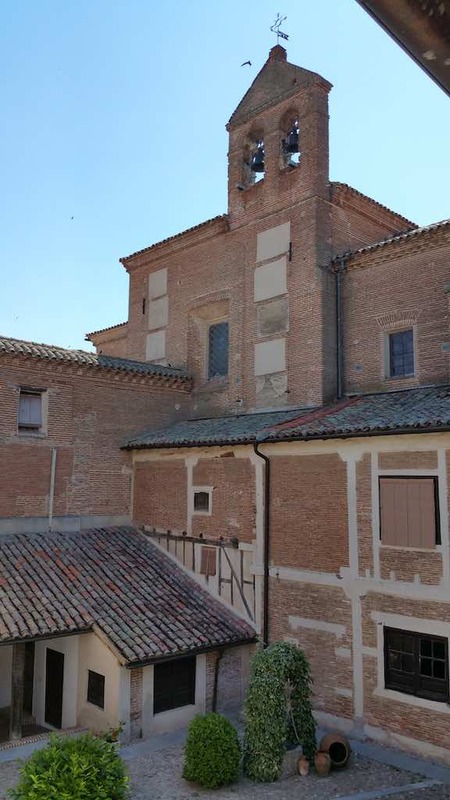 Castilla y Leon – Medina del Campo – Convento de San Jose. 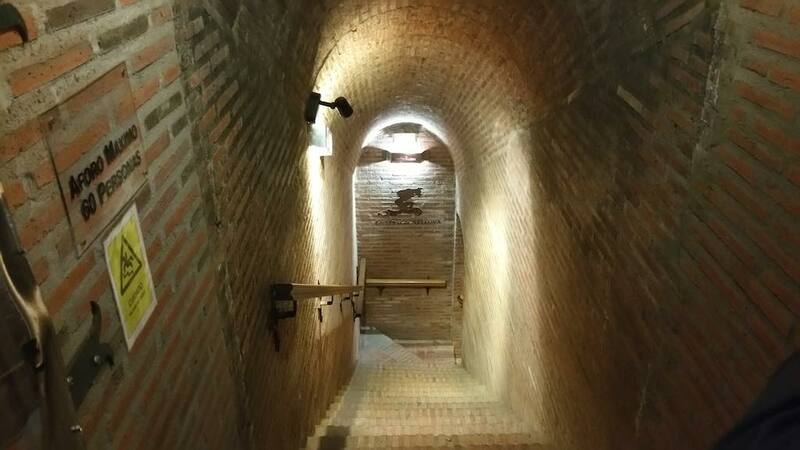 This is currently a convent, but it was once a monastery. Santa Teresa used to live and work here. This room is where she slept and this is her bed. Castilla y Leon – Medina del Campo – Convento de San Jose. This is currently a convent, but it was once a monastery. Santa Teresa used to live and work here. Castilla y Leon – Rueda -El Hilo de Ariadna Winery. 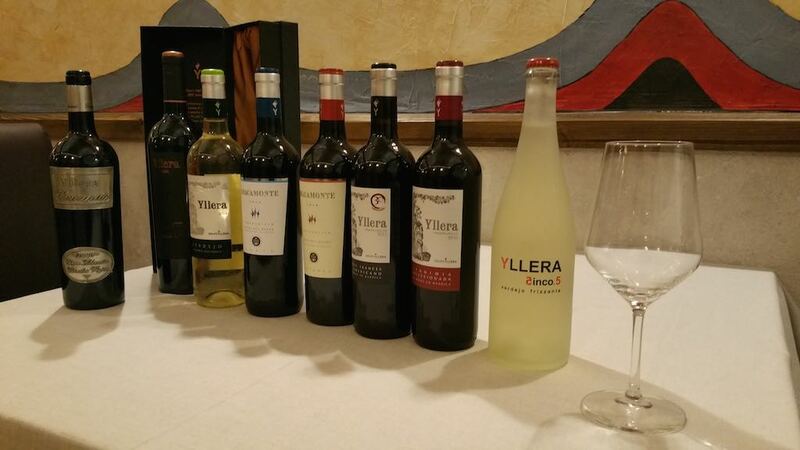 The region has many wineries, one of the is the El Hilo de Ariadna Winery that makes the Yllera brand of wines. 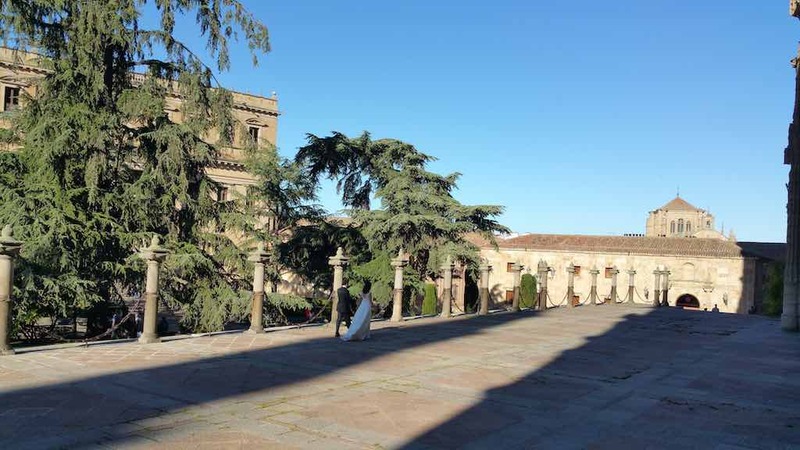 Castilla y Leon – Salamanca City. Castilla y Leon Salamanca Wedding Couple Near the Cathedrals. 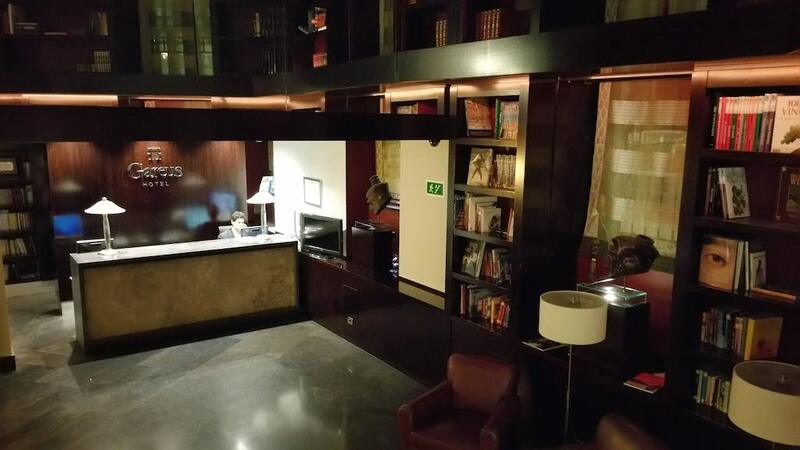 Castilla y Leon – Valladolid Hotel Gareus’ Lobby. 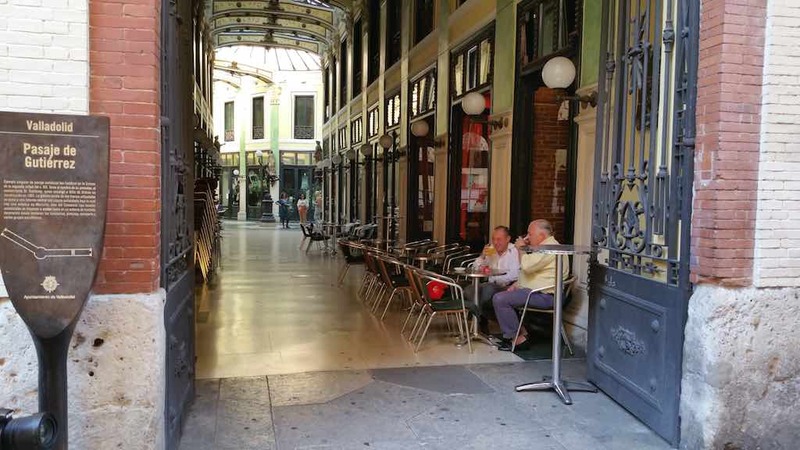 When visiting Valladolid, the Hotel Gareus is a great boutique hotel to stay. This lobby is like a library and feels very welcoming as you walk in.